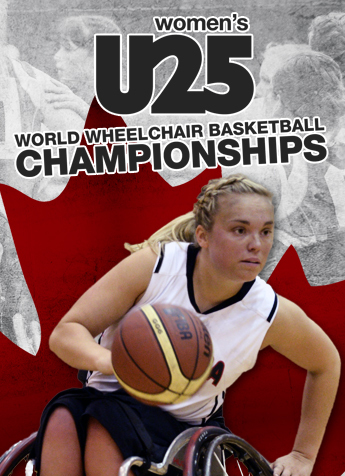 (Beijing, China) The Canadian Women’s U25 National Wheelchair Basketball Team will face Great Britain in the semifinals at the 2015 Women’s U25 World Championship in Beijing. Canada (2-3) will tip off against undefeated Great Britain (5-0) at 1:30 a.m. ET on Sunday. Australia (4-1) will play host China (3-2) in the other semifinal match, while Germany (1-4) will take on Japan (0-5) to decide fifth place. 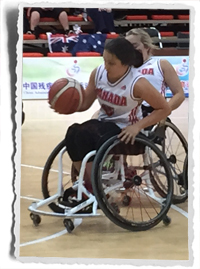 Team Canada placed fourth at the conclusion of round robin play on Saturday following a 73-57 loss to Australia. Australia outscored the Canadians 18-10 in the first 10 minutes of play. Canada turned the tide in the second frame and doubled up the Aussies on the scoreboard by an output of 26-13 to take a 36-31 lead into halftime. Australia responded with a massive third quarter, dropping 22 points compared to nine by Canada. With the game firmly in control, Australia secured the win by outscoring Canada 20-12 to close out the match. Arinn Young, of Legal, Alta., led all Canadian players with a double-double on the strength of 20 points and 14 rebounds. Rosalie Lalonde, of St-Clet, Que., finished second in team scoring with 14 points for the Canadian side. Amber Merrit produced a game-best 34 points for the Australians.